When the other kids were signing up for soccer and joining the basketball team, you had your mind on a somewhat loftier sport. When they dreamed of scoring touchdowns and throwing no-hitters, you dreamed of dodging bludgers and snatching snitches. When they talked about the thrill of stepping onto the court or the field, your mind drifted off to the glory of floating over the arena and looking down at the crowd gathered below. It’s a pity you happened to be living in a world where most sports are tied to the earth. Those wizards have all the luck. But even if your childhood dreams of quidditch stardom were never to be, that doesn’t mean you can’t still look the part. And fortunately for you, it isn’t a game that requires a lot of gear. Get yourself a good pair of goggles and a streamlined broom, and you’re all set for a friendly pickup match. 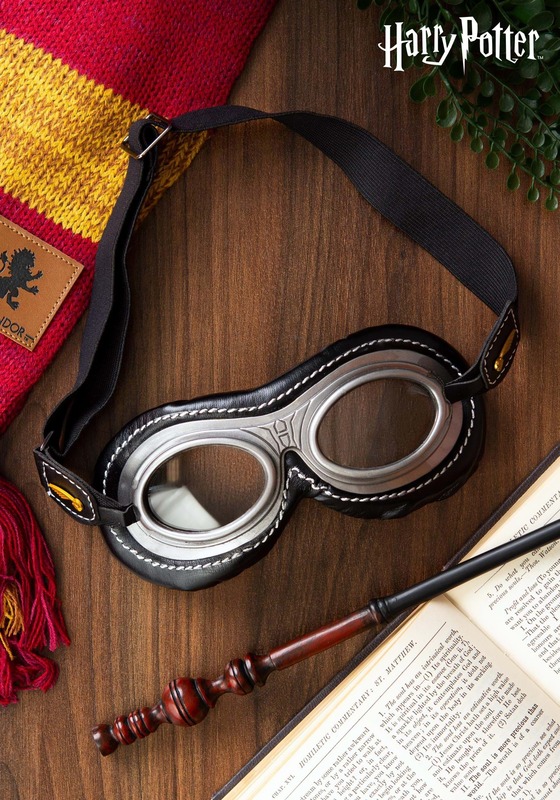 These fine-looking quidditch goggles feature a faux leather strap and UV-protective lenses, just right for fantasies of tossing a nice quaffle shot at the goalkeeper. Now as to where you’re going to find a broom that can get you off the ground, we’re afraid you’re on your own. A kid can always dream, right?